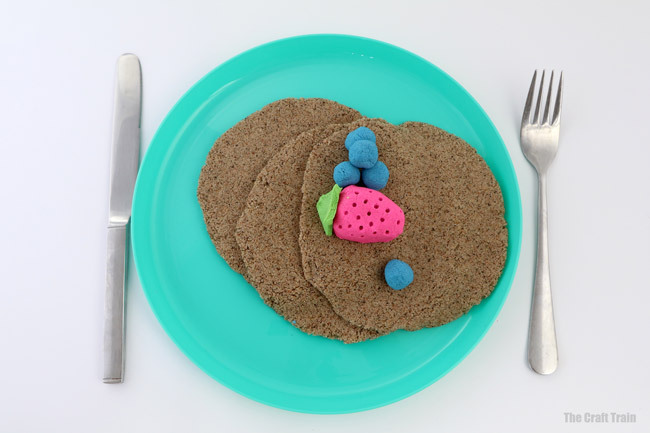 Today I’m sharing three ways to make pretend play food using Kinetic Sand. 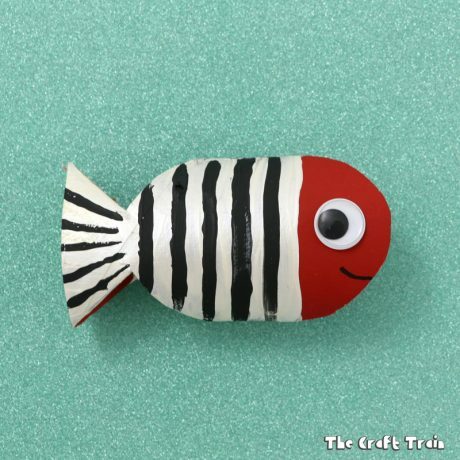 This is a tactile, squishy sensory experience for kids and will help to keep them busy whilst you are busy during Christmas rush season. 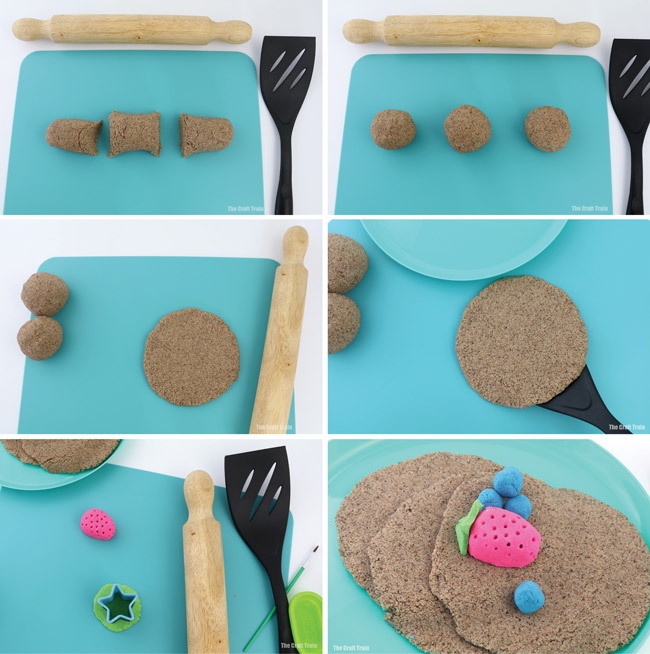 Kinetic Sand would also make a great Christmas Gift idea, you could put some in a gift basket along with a rolling pin, cookie cutters and a play mat. 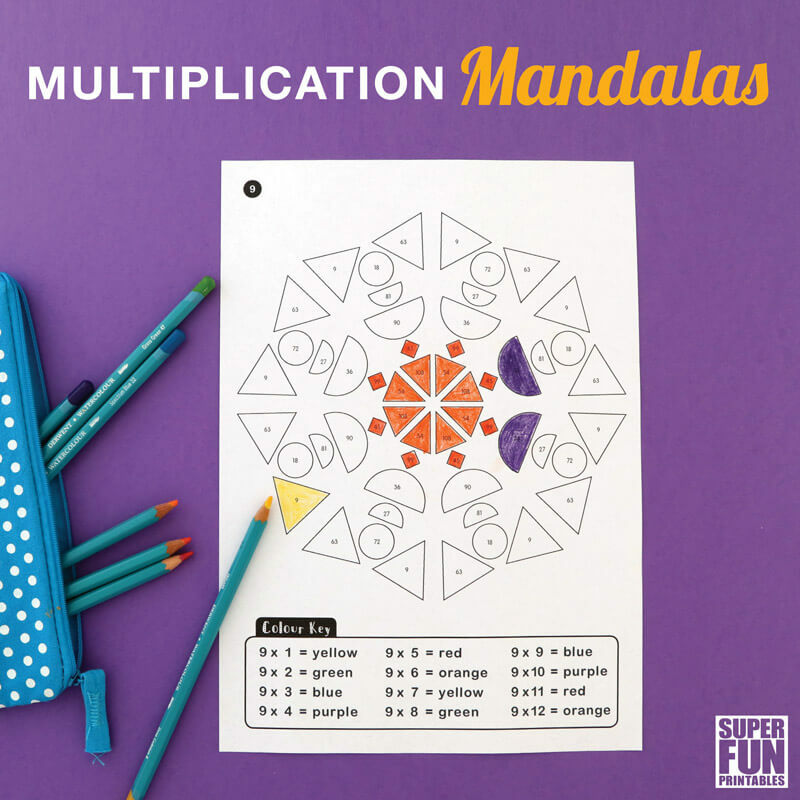 Do your kids love sand? 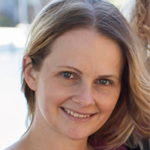 When I was growing up my siblings and I had hours of fun in our backyard sand pit by hosing the sand down to get it all wet and building muffins, cakes, castles and miniature worlds to play in. If the sand dried out we tipped extra buckets of water on it and patted it down some more. When we were done we’d head indoors with sand all over our feet, hands and clothing and traipse it all over the house. It was fun, but oh so messy. 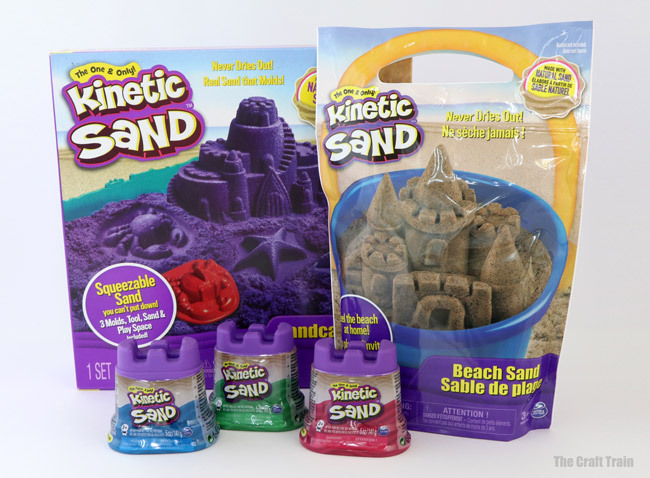 Well this is the 21st century and now there’s a new sand in town – Kinetic Sand! 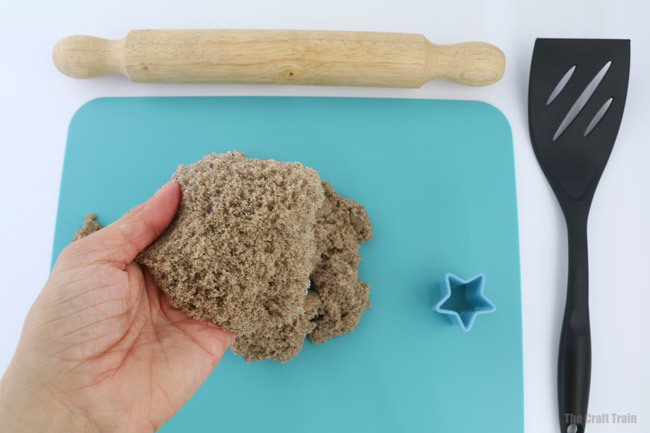 Have you ever run your fingers through a pile of Kinetic Sand? 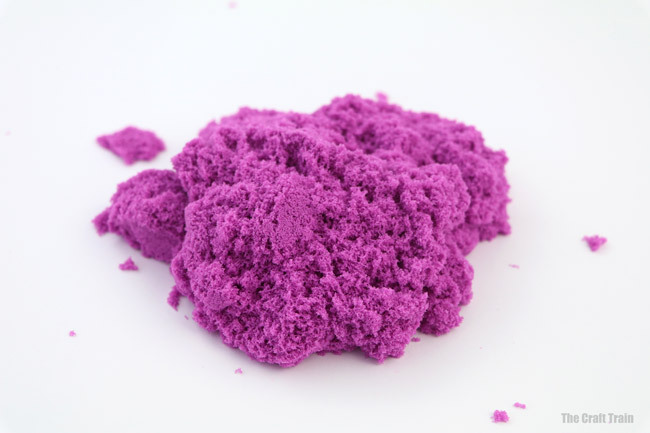 This is the sand of my dreams. 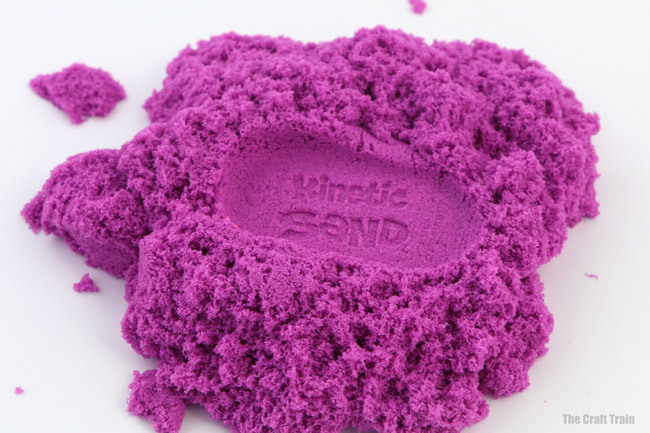 It’s squishy, soft, fine and grainy like real sand (because it IS real sand), and when you pat it, mould it or make anything at all it holds its shape beautifully. 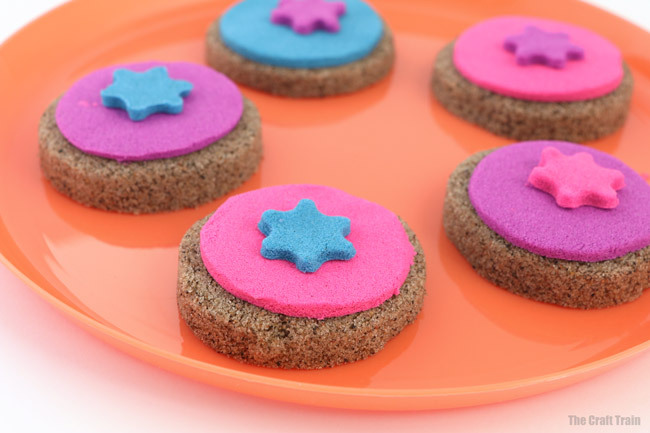 Kind of like wet sand only better – and it’s not even wet. 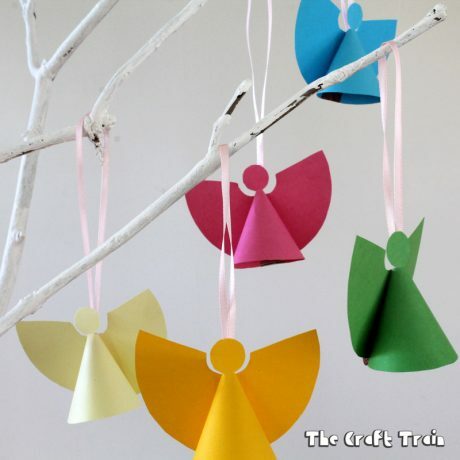 Best of all, because it sticks together, it’s a breeze to clean up. 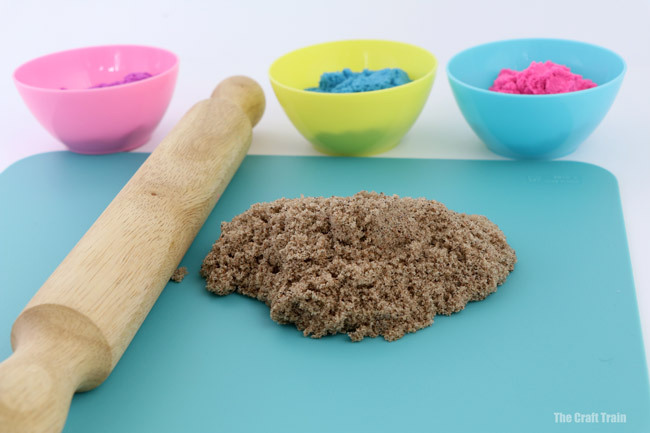 To give kids a fun Kinetic Sand experience all you really need is a mat or tray and a pile of sand. 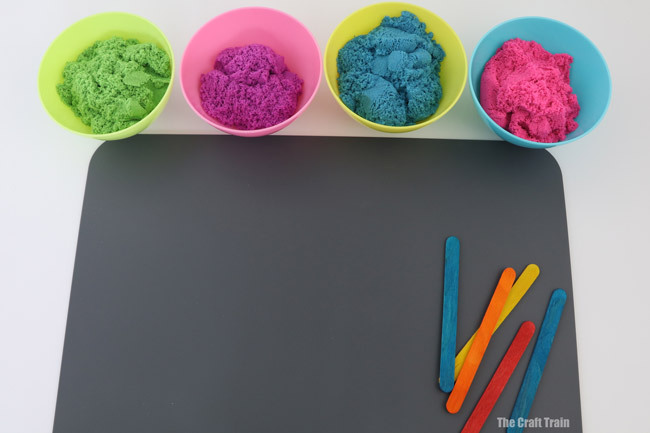 The sensory activity itself is calming and therapeutic and your kiddos can have loads of fun by adding a few simple props such as plastic moulds and containers to shape their sand with. 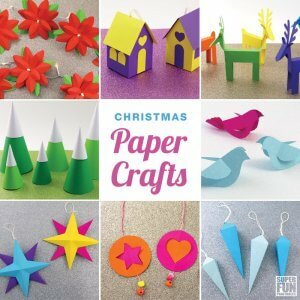 Simply letting it dribble through your fingers is mesmerising. 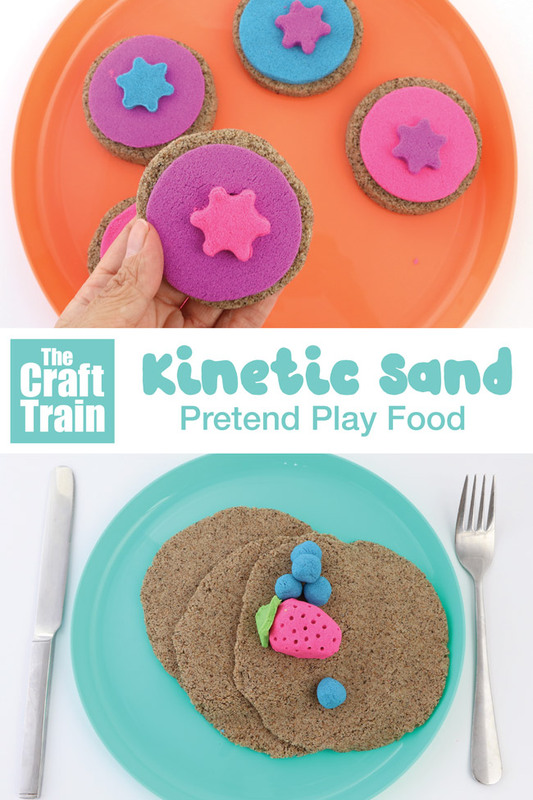 I loved this stuff so much I decided to revisit my childhood sandpit experience by using Kinetic Sand to make some pretend play food! 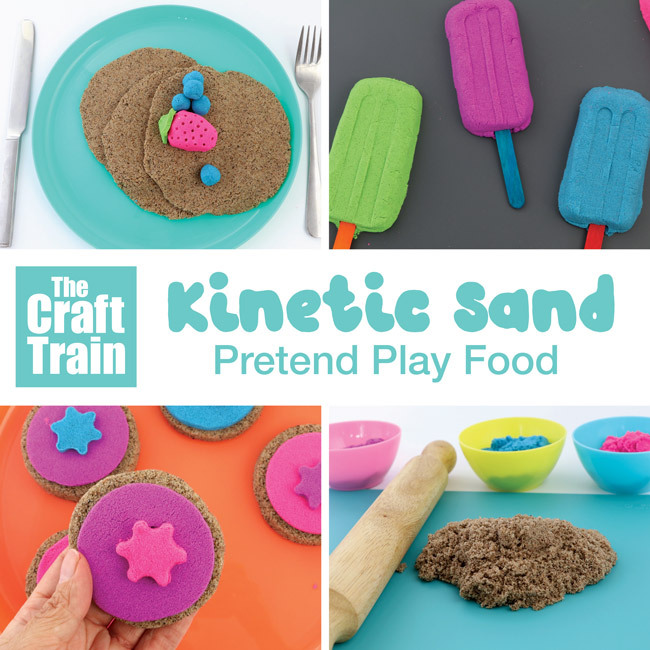 We were supplied a range of different Kinetic Sand products to experiment with. 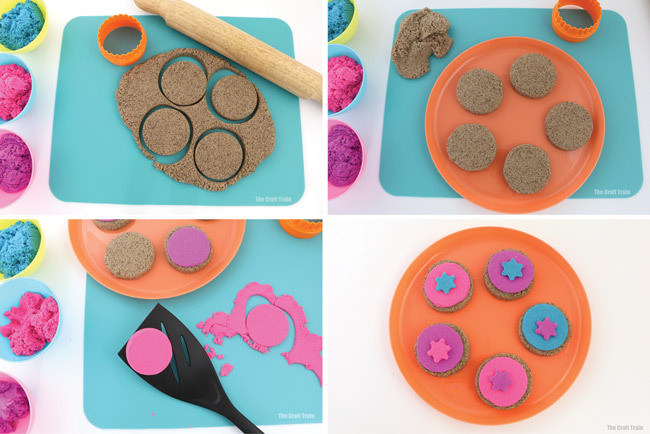 You don’t necessarily need all the colours, you could make some pretend food using only one (but of course, your platter of food would all be one colour). 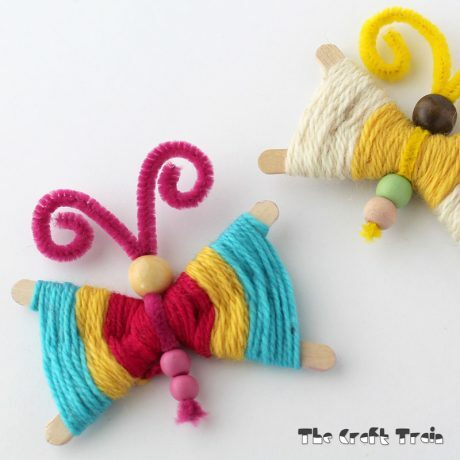 On a practical level, once the colours are mixed it’s a bit like play dough and stays mixed so keep that in mind too. 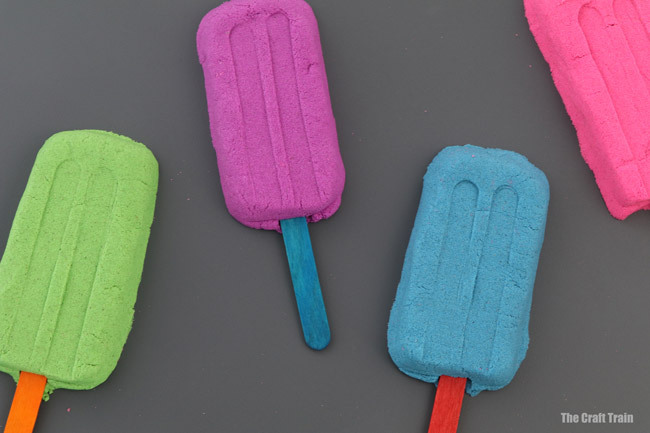 I found the Kinetic Beach Sand is coarser than the coloured Kinetic Shimmer Sand and holds together a bit more firmly, just like play dough. 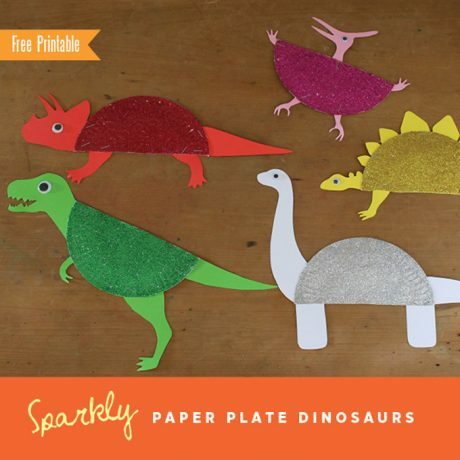 Perfect for a batch of pancakes or cookies! Yep – you can really make pancakes and flip them with an egg flip. 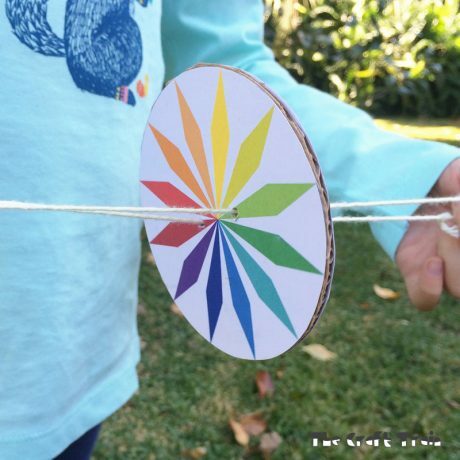 No guarantees you’ll catch it perfectly but it IS possible and fun to experiment with. Seriously, this is just the tip of the iceberg. 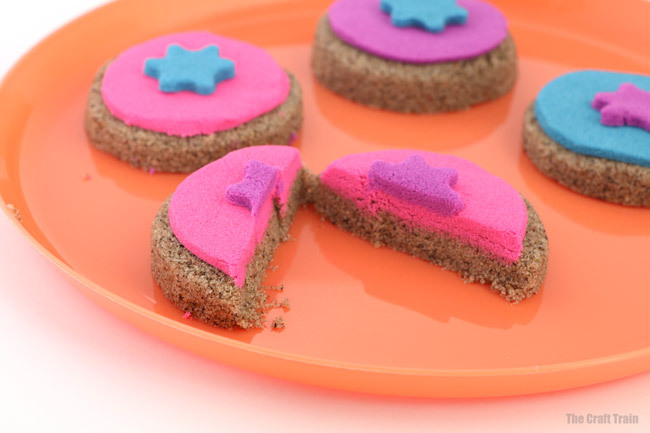 What other treats could you make with Kinetic Sand? 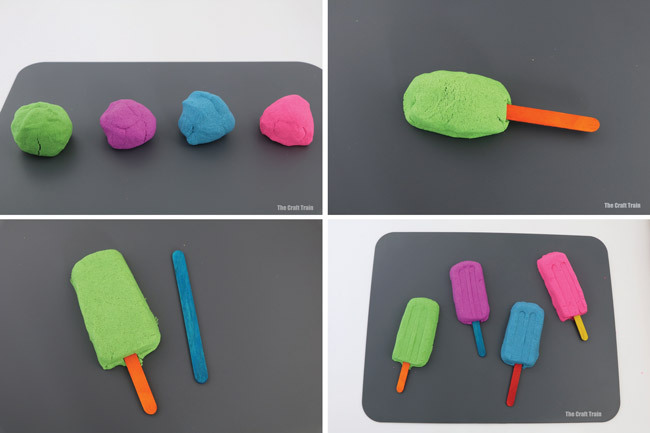 You can find Kinetic Sand at Woolworths, Big W and Toy World.